ISLAMABAD: Climate Change Minister Senator Mushahidullah Khan said Monday that the government will take steps to strengthen Pakistan’s research capacity in climate change. “We will raise Global Change Impact Studies Centre (GCISC) to international standards so Pakistan can take benefit from the experience of international experts and vice versa,” he said while addressing the three-day International Science Policy Conference on Climate Change. He further said that the present government took a number of important steps towards climate-friendly development, including ratification of Paris Agreement, passing of The Pakistan Climate Change Act, 2017, adoption of international sustainable development agenda as the national agenda and passing of National Forest Policy by the Council of Common Interests. 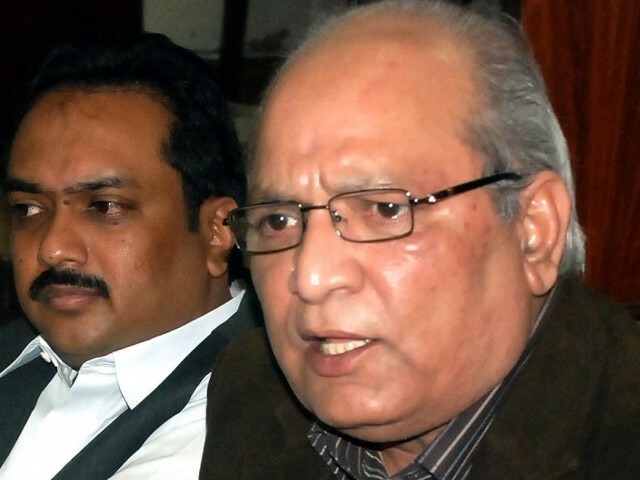 Mushahidullah also highlighted that Green Pakistan Programme had been initiated to preserve forestry and wildlife in Pakistan, adding that as part of the ongoing initiatives, Astola Island had been declared as a Marine Protected Area. He said that a proposal for the capacity building of Global Change Impact Centre had been approved. The total budget of the proposal was Rs 791 million, out of which Rs 60 million had already been released, he added. He informed that a total of 300 research papers were received for the conference, out of which 140 were selected for presentation. “These will provide valuable input for other researchers as well as government officials, non-governmental organisations, think tanks, faculty members and students. We have also taken other actions besides the conference, including, starting high quality organised training workshops and providing guidance for future research. Some participants are willing to enter into long-term partnership with the centre,” the climate change minister said. He also informed that the ministry had started discussions with universities, through Higher Education Commission, and provinces to start research and educational programmes on climate change. Steps were being currently taken to establish provincial climate change centres as well, he added.